The Government have confirmed that Brexit Secretary David Davis will be in Brussels at the start of the week for meetings with the EU’s chief negotiator Michel Barnier. Ministers had simply said that talks are expected to start this week, but with uncertainty over the stability of the Government in the wake of the election they had held back from confirming an actual date of initial talks. Contrary to ministerial leaks and political soundbites, Brexit talks will be kicked off with three major stumbling blocks. During the complex talks, the two sides will also have to negotiate a new customs and trade regime between the single market and the UK. May has said she wants a new customs union deal with the bloc, an idea EU officials have snubbed so far. However, Britain’s approach to Brexit negotiations has been considerably weakened since Theresa May’s unexpected election debacle. There are considerable rumours swirling around Conservative circles that another election may be called as early as September. Should this happen and there is a change of leader, or indeed a change of government, all negotiations would likely take a different focus. The Times leads with the headline: Tories Tell May: You have 10 Days. The Sun and Citywire lead with the same giving May just 10 days to ‘shape up or ship out’. The Sunday Telegraph leads with “May faces threat of stalking horse leadership challenge”. The Observer says that “Big business leaders press PM on rethink of hard Brexit.” These are the headlines of those that smell blood on the floor already. Conservative headquarters let the cat out of the bag when they sent a notice to say all candidates needed to be ready for 10th July, suggesting that another election could be called as early as September. And on that note – fancy yet another election? Yes you do! This is according to a YouGov poll, which found that 43% of the UK wants another general election this autumn. In the meantime, Britain’s negotiators are facing some tough times ahead. What do we know about it so far? Not much is the answer. It could be anywhere between zero and ¢100 billion euros or about £85 billion. A House of Lords report called ‘Brexit and the EU Budget‘ says the bill will be zero because Britain will not be a member of the EU and therefore it cannot be enforced. This initial opening round will be important as the majority of the remaining 27 nation bloc feel that Britain should pay its fair share of agreed obligations. The main problem is that there are many spending programmes, particularly so-called “cohesion” funds. These are designed, for instance, to help weaker economies in the East or pensions liabilities for EU civil servants. These are planned over the decades ahead and Brussels argues that all commitments to which Britain is committed to ought to be honoured. The problem is that Theresa May didn’t help matters by stating this figure should be nil during the recent election fiasco and this seems to have done nothing but angered European leaders, motivating them to demand payment agreement first. Success for Britain at this stage will be crucial. In what many might call a U-Turn, David Davis will open divorce talks in Brussels next week with an offer to allow the three million European Union citizens living in Britain the same rights that they have now, the Financial Times reported (paywall) on Wednesday 14 June. This should considerably sweeten the aforementioned divorce bill talks. 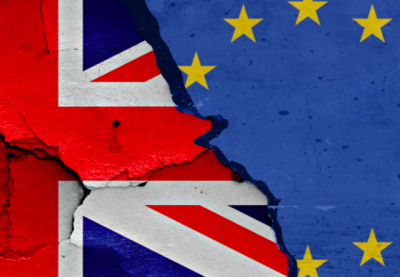 The date of closing the border to new EU nationals will be contentious itself but will end up somewhere between Britain’s demand of 29th March this year and the EU’s demand of when Britain leaves the EU, expected to be 2019. And for the sake of that divorce bill, Britain will likely accede to the latter. The FT, citing anonymous officials, said Davis would offer to guarantee the rights that EU citizens currently have in Britain, such as the freedom to move and work in the country, and aim to treat them “as fairly as they have been to this point”. According to sources in Brussels though, Brexit negotiators will face “extraordinarily complex” talks over the rights of EU citizens in the UK and British expats in Europe. Just one aspect of those complications will be rules guaranteeing, for example, access to social security and health care and welfare payments, including marriage provisions and aggregate pensions built up in other EU countries. Those complications then extend further when considering EU citizens benefitting from the right to family reunification: this allows an EU citizen to bring a dependent from a third country – a grandmother, for example, – to live with him or her. The EU expects the UK to grant the right of return for those who have previously lived in the UK. And again, to be extended to current and future spouses and dependants to join those already in the country. Citizens’ rights would apply, ideally for life, and also to any children. The exact cut-off date will be finalised during the negotiations assuming the divorce bill settlement has not proved to be unsurmountable for both sides. 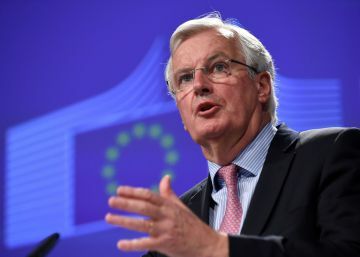 In a rather crass attempt to show some leadership in the matter, Theresa May attempted to strike a deal on citizens’ rights last December but those efforts were rebuffed by the EU-27, led by the European Commission’s chief Brexit negotiator Michel Barnier. The Northern Irish border with EU member Ireland remains a continual headache for Brussels. The Commission has stated that one of its priorities in Brexit talks was the Good Friday Agreement, which brought an end to violence and terrorism in Northern Ireland in the late 1990s. The last thing the EU wants now is more violence on its territory. The reason for such controversy when Theresa May decided to jump into bed with the DUP is the the EU calls on the governments in London and Dublin to be neutral in their dealings over Northern Ireland. But the new alliance between May and a pro-Union party like the DUP will no doubt undermine the confidence of Northern Ireland’s Catholics in the process and revive tensions in an area bordering the EU. Those tensions were already being reignited is recent months but this particular alliance could make matters much worse. As if to throw the initial negotiations into confusion the EU negotiators, who don’t forget have had 40 years of negotiating trade deals with the rest of the world, only offered Britain talks in the first place on a future free trade pact on the grounds that London must first agree to EU demands on the terms of Brexit. So not only did that start with that divorce settlement, leading on to the rights of EU citizens and the Ireland issue but it also spelled out EU resistance to Britain scrapping whole swathes of tax, environmental and labour laws if it wants to have an eventual free trade pact. About 44% of UK exports in goods and services went to the EU in 2016—£240 billion out of £550 billion total exports. It is critical to the health of every British citizen that a satisfactory trade deal is done because if the vision that Theresa May has put forward, that no deal is better than a bad deal comes true, Britain’s economy will crash and burn practically overnight.